Chinese smartphone sensation Xiaomi has started to expand into new markets aggressively and its new Redmi 1, with its astonishing specs, is a sign of just how dangerous it may be to Samsung and other dominant brands. By now, you’ve probably heard the ridiculous phone call between former Engadget editor-in-chief Ryan Block and a Comcast representative who refused to let him unsubscribe to Comcast’s service and instead barraged him relentlessly with questions asking him why he’d ever think of leaving the best cable provider in the history of the world. In addition to detailing Apple’s purported iWatch launch plans – the company is expected to have two sizes for its smartwatch and three versions in total – Taiwanese publication Economic Daily News also said that the iPhone maker will launch three iPad versions this year, including a new 9.7-inch iPad Air, a new 7.9-inch iPad mini and a 12.9-inch iPad, also known as the iPad Pro in some reports. Want your laptop battery to last longer on each charge? Stop using Google’s popular Chrome web browser. According to one Forbes contributor, there is a big problem with the Windows version of Google’s Chrome browser that causes it to drain laptops’ batteries at a significantly faster rate — in fact, the issue may cause notebook PC batteries to drain 25% quicker than normal. The next-generation Ford Mustang SVT is one of the most anticipated performance cars of the moment. We’ve already seen it testing multiple times, but it has always been covered is some very heavy camouflage. However, Ford has just given us our best view yet of the new muscle car. According to our spy photographer, the Mustang was at the Nürburgring for high-speed testing, which meant that the Blue Oval had to remove most of the heavy obfuscation that the SVT has worn previously. The stylish, more revealing camo makes picking out some of the more interesting details about the SVT rather easy. Starting from the front, there is the big hood scoop to feed cold air to its still mysterious engine. You can also immediately make out the model’s new grille and lower front air dam. It has a vertical piece running from the bottom of the hood all the way to the ground. The aggressive styling almost gives the ‘Stang the look of two fangs ready to bite down. The hood seam is even taped off here, which shows us its outline. Around the side, it appears that the front and rear fenders are wider than stock, and the sills are certainly much larger. You can also just make out the SVT’s bigger brakes behind its black wheels with a polished lip. Finally, at the rear, things appear mostly stock other than the diffuser that the exhaust outlets nestle into. Overall, it’s certainly a fierce package, and it gives us a lot to look forward to ahead of the SVT’s rumored 2016 model year launch. Click through the gallery to check it out from all of the angles. UPDATE: Thanks to our friends at Mustang6g.com, We’ve added video of the 350GT where you can hear the beast below. 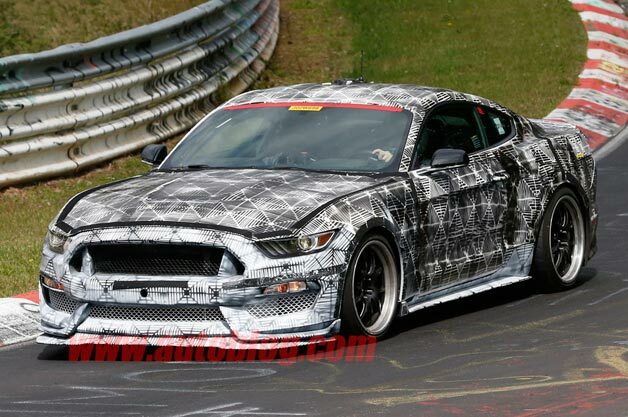 Ford Mustang SVT caught looking fierce on the ‘Ring [w/video] originally appeared on Autoblog on Tue, 15 Jul 2014 12:30:00 EST. Please see our terms for use of feeds. 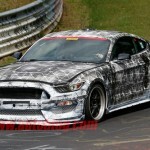 Ford Mustang SVT caught looking fierce on the ‘Ring originally appeared on Autoblog on Tue, 15 Jul 2014 12:30:00 EST. Please see our terms for use of feeds. 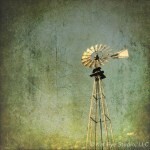 Over the course of the past several years, each and every one of us have become amateur photographers. From the adequate cameras on our smartphones to apps like Instagram and Snapchat, suddenly every moment in our lives can be captured with a single button press. Unfortunately, a vast majority of those photos are fleeting snapshots of meals or beach trips, but professional photographer Kat Sloma has decided to convert to full-time “smartphone photography” to prove that the iPhone is a viable medium for art. A new Kickstarter project says that you can improve smartphone battery life by adding a second screen to your Android handset, thus stopping yourself from continuously turning on the smartphone’s main display. Called InkCase Plus, the device is actually an E Ink screen that’s mounted in a special case, and it’s able to display incoming notifications and run certain special applications. The next time you pose a ridiculous question to Google, like how many walruses you’d have to stack on top of one another to reach the top of the Empire State Building, take a moment to imagine that the ubiquitous search engine is actually just some guy at a desk. Would you still search for the same inane factoids about celebrities and videos of people fighting in their backyards if you had to go into someone’s office to get the results you were looking for?